Want to take a look at who’s appearing in Avengers: Infinity War and the still not quite subtitled Avengers 4? 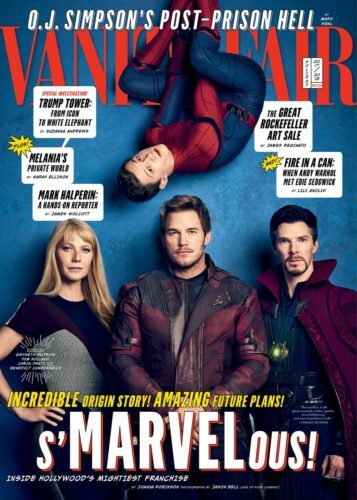 This month’s Vanity Fair launches with four covers — just like comics! — that showcase some of the actors in character, and the interior goes in-depth. Celebrating the 10th Anniversary of Marvel Studios, journalist Joanna Robinson and photographer Jason Bell illuminate what fans want to see — the stars, of course — but also shine a light on the powers that be. Admittedly, DC is trying with Geoff Johns, and though the dots aren’t connected in the Vanity Fair article, let’s note that the real godparents of all this are Superman the Movie director Richard Donner and his producing partner (and wife) Lauren Shuler Donner. Those two mentored Johns, Feige, and producer/director Bryan Singer, the three most powerful figures in superhero movies so far. DC did have a Zack, but he may have found his answers in the wrong books. 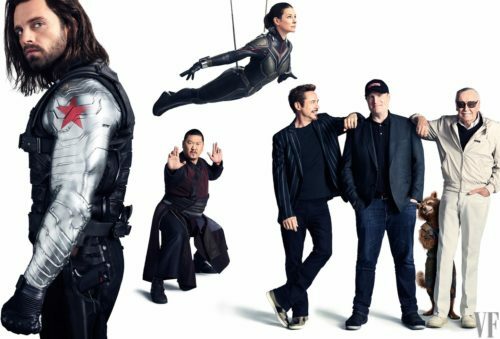 The article dives deep into Feige and the plans that he and Disney have for the future. Though we don’t know what they are, there’s mention of 20 films in the pipeline after Avengers 4, though that may include Captain Marvel, currently in production. 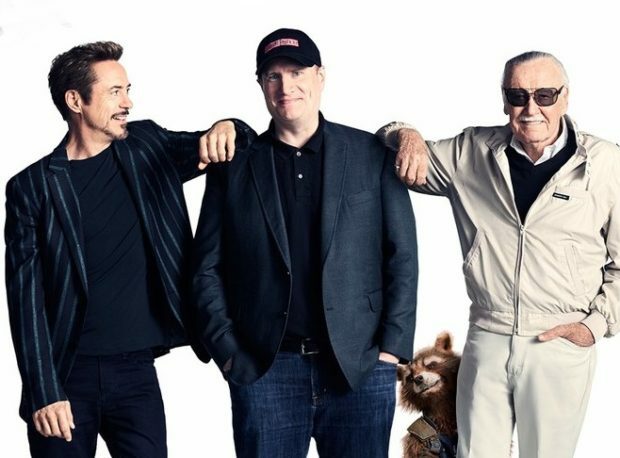 Feige also makes it clear that Avengers 4 is a finale, and that where they go in the future is limitless. We’ve speculated on the podcast that we could be setting up for Champions, with a whole new generation taking over including Miles Morales, Amadeus Cho, and Kamala Khan. 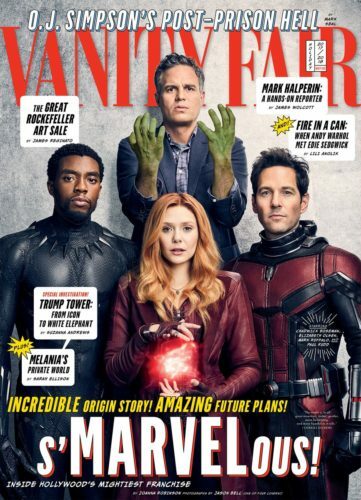 It might be nice to see Viv Vision, too, since Paul Bettany can’t keep the Vision looking eternally youngish forever. With the Nova Corps established, it would be good to see another teen hero there, too. 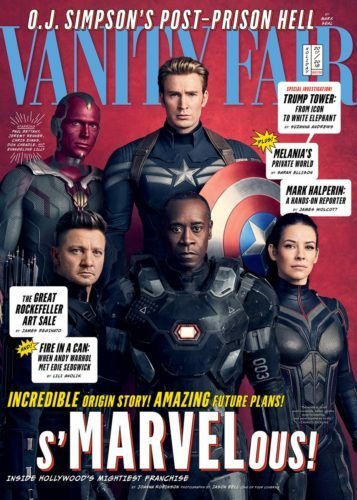 And let’s be honest, with Evangeline Lilly officially an Avenger (she tweeted it this morning along with the Vanity Fair cover featuring her), we can put the Wasp, Captain Marvel (Brie Larsen), Valkyrie (Tessa Thompson), Scarlet Witch (Elizabeth Olson) and Black Widow (Scarlett Johansson — if Marvel has her surviving) in one absolutely great film as a team. 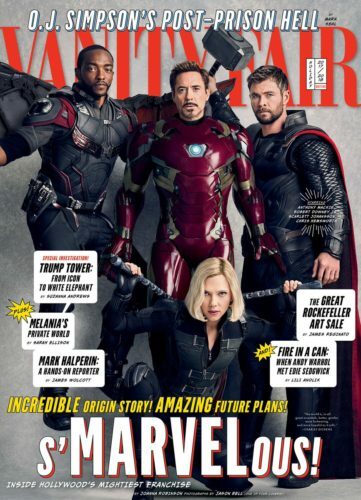 Of course, Vanity Fair also has a photo gallery of everyone looking stylish, with interesting groupings that still make me think that Avengers Infinity War is at least 60 minutes of just character introductions. Check it out — it’s completely worth the read.